Across the Connecticut River from Norwich, Vermont stands Hanover, New Hampshire - another gem in the Upper Valley. 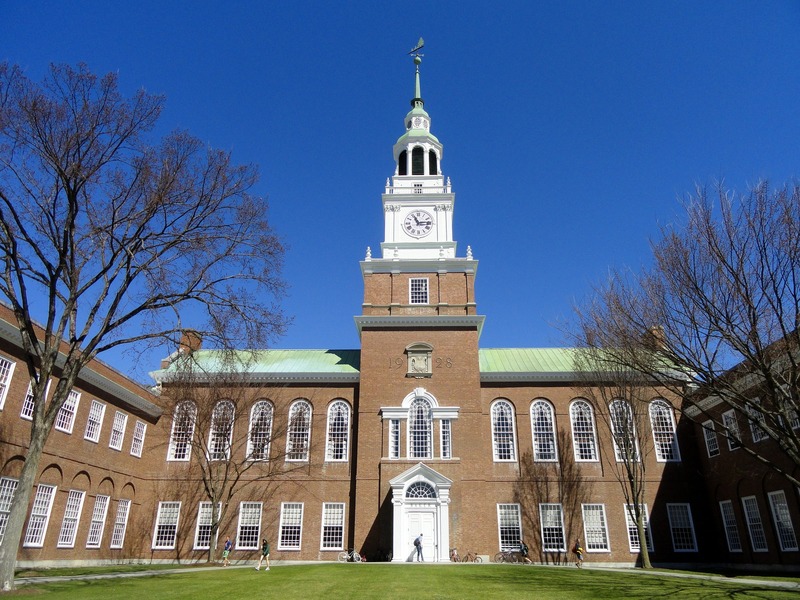 With a population just over 11,000 residents, Hanover is the home of Dartmouth College and a busy business center for the region. In all of its historic New England charm, Hanover offers visitors and residents entertainment for any season. Hanover lends easy access to year-round recreation for outdoor enthusiasts. For the water lovers, the Connecticut River offers kayaking and canoeing. Quechee State Park just over the river in Hartford, VT offers great areas for fishing and hiking. Bedell Bridge State Historic Site is a 38-acre park along the Connecticut River with a Fish and Game boat launch within the park. Lake Tarleton State Park offers an unguarded swimming beach as well as hunting and fishing in season. This park offers beautiful views of the White Mountain National Forest across the lake. Take to the slopes skiing on one of the nearby ski slopes like Dartmouth Skiway or Whaleback Mountain. Transform some of your favorite hiking trails into snowshoeing trails as winter rolls in. Hike the Appalachian Trail or take a stroll around Occom Pond to get a break from the bustle of downtown. In the winter, Occom Pond is known as one of the top 10 ice skating rinks in the state. Smarts Mountain, at 3,240 feet, offers the closest feel of the higher elevations in the White Mountains. With open quartzite ledges as well as an old fire tower on the summit, Smarts offers beautiful views of the surrounding landscape. The Hood Museum of Art offers a wide range of free exhibits, walking tours, lectures, and workshops. Boasting collections from all over the world, Hood is a cornerstone of the cultural landscape in the Hanover area. Hopkins Center for the Arts is sure to delight audiences with music, theatre, dance and family performances. Are you more of a film fan than live entertainment? No problem. The Hopkins Center for the Arts presents films from foreign and independent films to recent Oscar winners and classics. Hopkins Center for the Arts has something for the entire family. One of the assets that Dartmouth offers the community of Hanover is the Osher Lifelong Learning Institute. The Osher Lifelong Learning Institute at Dartmouth was established by Dartmouth College in 1990 and has evolved into a volunteer organization that provides lifelong educational programs year-round for Upper Valley residents. With over 200 courses offered annually, connect with members who share similar interests and passions through the educational and social events that are part of the core curriculum. Courses are five to eight weeks on average, with a few mini-courses running two to four weeks. The format is both lecture style and video with topics ranging from songwriting to Aristotle’s Ethics - Immigration to the history of cheese, and everything in between. Hanover may be a quintessential New England town, but the local fare is anything but. From an Irish pub to Spanish tapas bar, gelato to bubble tea - Hanover offers international cuisine to suit the most discerning palate. Molly’s Restaurant and Bar has a little something for everyone from pub fare to vegan and gluten-free options. As one of the top 10 places to eat in Hanover, Molly’s is sure to please. Looking for more Asian flavors? Base Camp Cafe offering Nepali and vegetarian-friendly dishes should be the top of your list. Tuk Tuk Thai Cuisine is open for lunch and dinner, dine-in or take out as well as delivery. With a large menu, you will enjoy the best of Thailand right from your home in the Upper Valley.